Built in 1975, the five-bedroom home was completely rebuilt and renovated in 2016. With the help of local firm Paul Alexander Construction, the home's exterior siding was replaced, and a new roof and septic system were added. All of the home's exterior doors and windows were replaced with Pella windows. 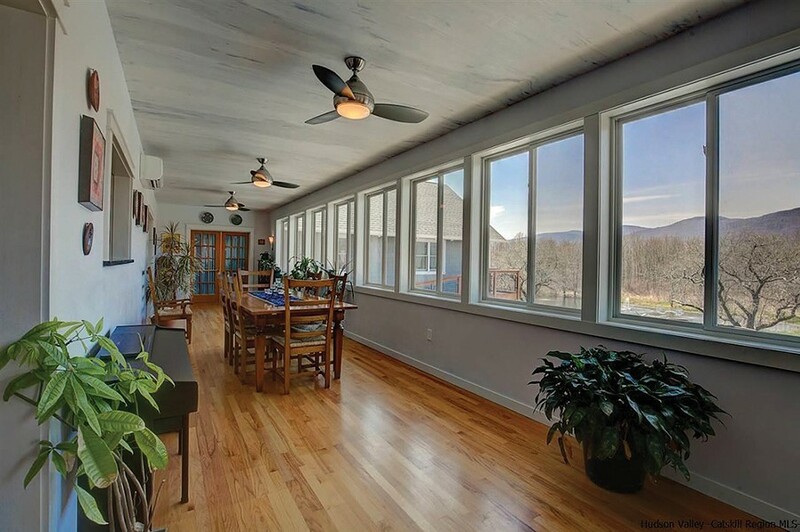 A new beamed cathedral ceiling with a complete wall of windows offering breathtaking views of the woods and nearby Catskill mountains anchors one end of the home. There's also a new master suite with a private entrance. To revitalize the interior, the seller collaborated with LaBounty Restorations, with an eye toward high-end finishes and a close attention to the details. Together, they installed hardwood flooring throughout the living area and sunroom, the bedrooms, and the ensuite bathroom. A stone walk-in shower adds a touch of high-end elegance to the home's contemporary interior. In the living room, a newly installed bluestone fireplace gives a cozy feel to the spacious, open area. The home's outdoor space includes a covered porch with a cathedral ceiling and a barbecue area, overlooking the slate in-ground pool. A spacious, fully equipped chef's kitchen is the heart of the home, with room enough for extended family gatherings. There is abundant Shenandoah wood cabinetry along the walls and ample black granite countertops for preparing large meals, as well as a central kitchen island for chatting and chopping. A new stainless steel refrigerator, dishwasher, and oven complement the cabinetry and countertops, and there's extra space for a full-length table and chairs, making it a full eat-in kitchen. Over time, the owner also reconstructed the interior to be barrier-free and added several access ramps to the exterior. All on one level, the contemporary Ranch is completely, but subtly, handicap-accessible making it ideal for multi-generational living. There is also an attached two-bedroom apartment with its own separate entrance for guests, and a partially finished lower level that could add even more usable space. The remodel has resulted in the desired effect. "The home feels warm and welcoming, with plenty of room for everyone," the owner says. "And there are gorgeous mountain views from almost every room." The great room offers lofty ceilings and a bank of windows. Ready to downsize, the owner recently moved back to her hometown of Woodstock. 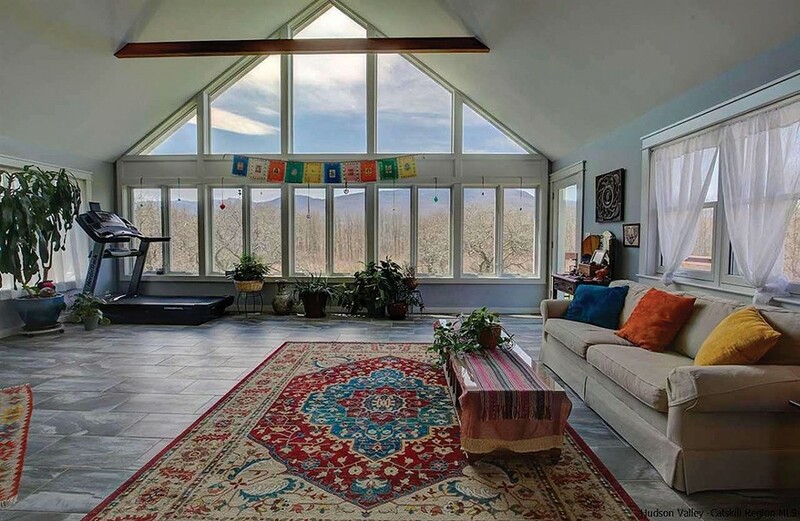 The Catskill Ranch, which she's been successfully renting on AirBnB, is on the market with Halter Associates Realty for $650,000. 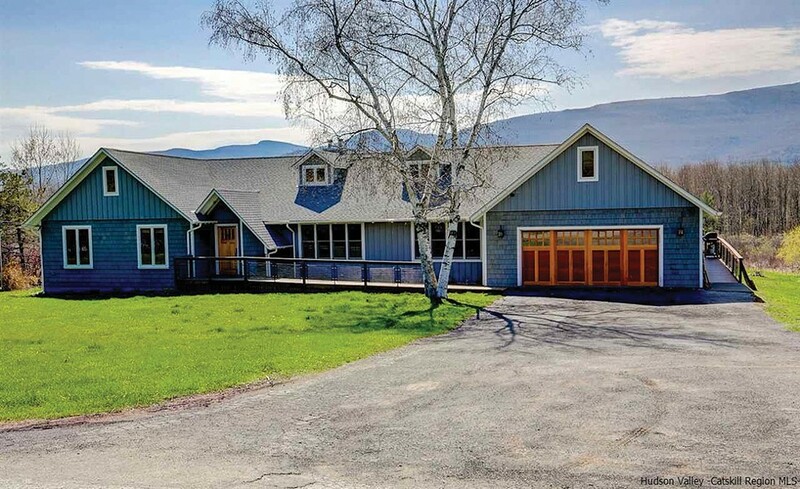 "It's been great for others to enjoy it until the new owners come home," the seller explains. Learn more about this property and see the listing.